Finally the paper weight stone I ordered have arrived safely. 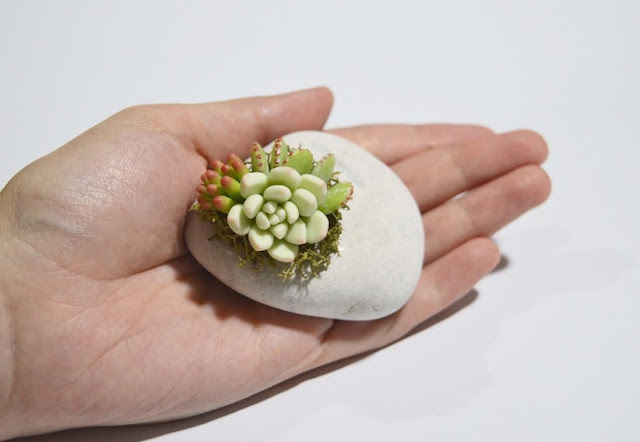 It took more than 3 weeks to get these beautiful stones in hand. They are from Kupang, Nusa Tenggara Barat, Indonesia. I have to admit that I am not a fast clay crafter, so I managed only to make 6 paper weight variations. My mind was planning for like 10 or a dozen..but.it turned out that I am always occupied by some other works especially house works and I need my tea time, reading time, gadget time, going to mall time, etc...so...only five is done and two is already taken. 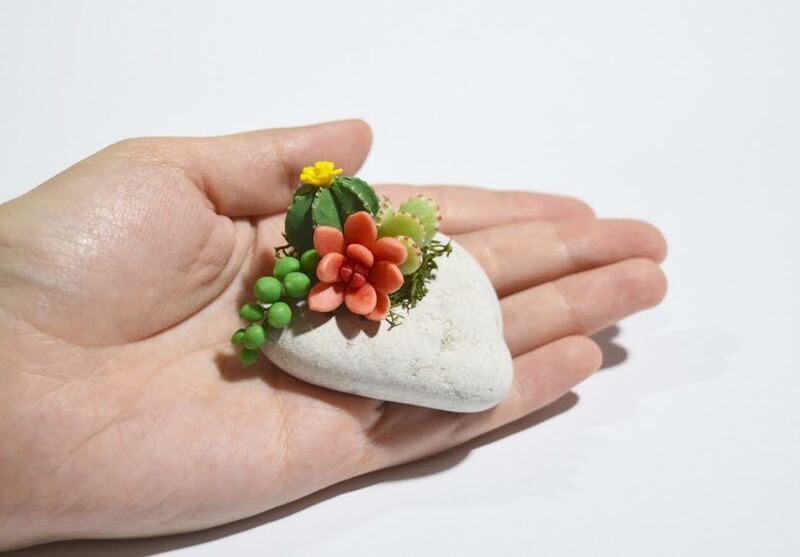 The succulents are made from Modena (Japanes air dry clay from Padico). I love this clay!! You can add messages on the stone to make it more personalized. I used acrylic paint but marker is fine, too. 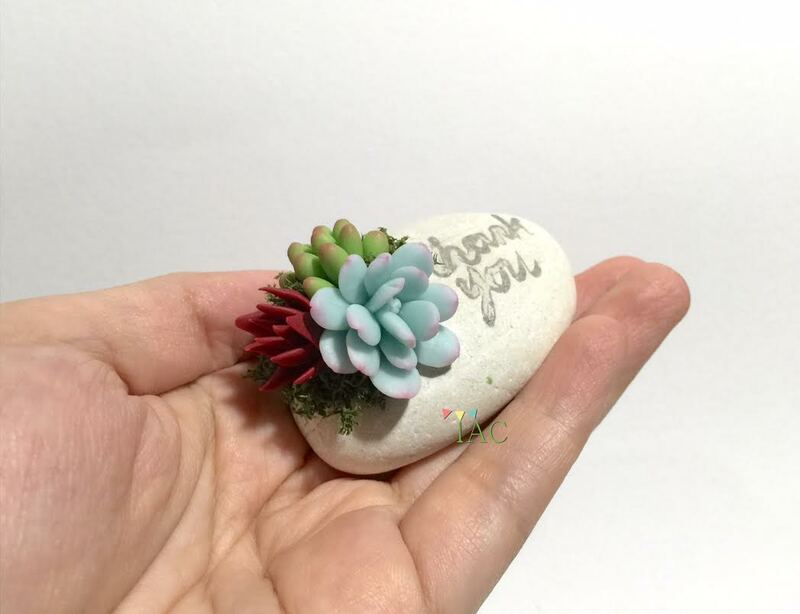 This one is a gift to one of my craft supplier. I painted her shop's logo on the stone. Hope she love it. 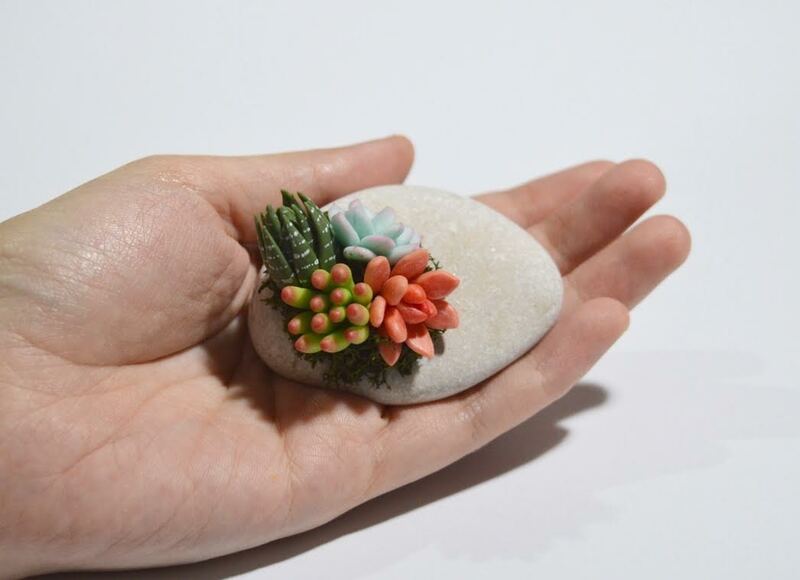 These beautiful paper weight are available for purchase on Zibbet and Etsy. 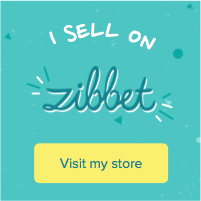 If you live in Indonesia, you can purchase from our local online shop for local unique handmade Qlapa. Everything is written in Bahasa Indonesia. 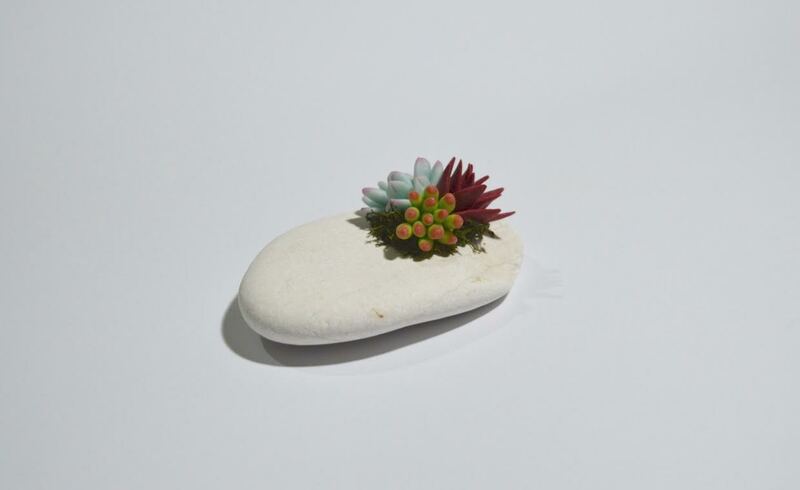 If you wish to make your very own handmade paper weight succulent, we will have this workshop coming up in July 2016. I will update more details on the workshop page and also on my Instagram account as well as facebook. Or you can also email to daftar@wewocraft.com to receive a monthly schedule of any workshops. They conduct various interesting craft workshops. You can also check them out on their Instagram.